Sete Tele’s experience as a professional artist and educator spans nearly thirty years of dance as a performer, choreographer, teacher, and arts worker. His formative years were with 2 Dance Plus (now CO3 – a dance in education company), where the groundwork was laid for the subsequent opportunities to teach (as an independent dance artist) across the spectrum of professional, tertiary, secondary, primary, and community (urban and regional) dance environments. Sete has facilitated residencies in various remote indigenous communities in Western Australia and Northern Territory. Sete has also developed performance works with people from diverse cultural backgrounds, refugee communities, and the disability sector (physical, intellectual, mental health, aged care). Sete is a recipient of three West Australian Dance Awards: Outstanding Performance by Male Dancer, Outstanding Teacher, Outstanding Achievement in Regional or Community Dance. He was an Asialink Artist in Residence at the Guangdong Modern Dance Company in Guangzhou, China. Other residencies include Time Place Space 2 and Time Place Space Nomads, as well as a self- directed residencies at Tasdance, Launceston Tasmania, Artscape Gibraltar Point, and a collaborative studio residency in Lisbon. Sete’s practice to date is a compilation of experiences that coalesce to create works that reflect his perspective of the world. 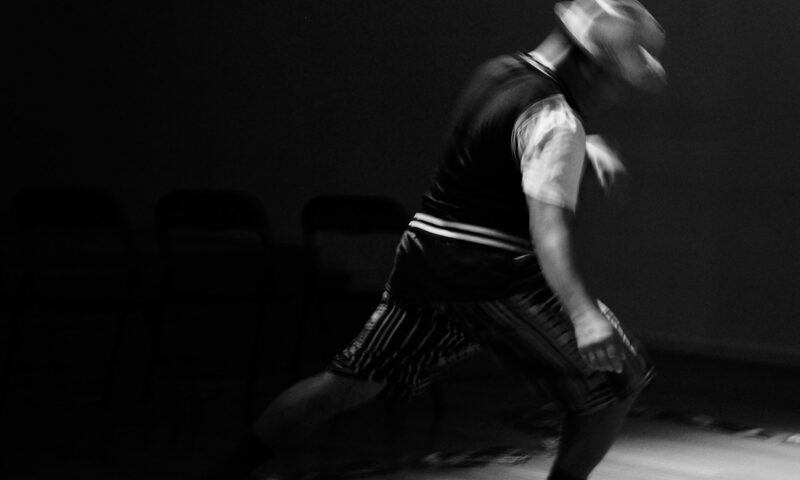 His medium is, contemporary dance with flavours from – his Samoan cultural heritage; Aikido (Japanese Martial Art of Peace); pop culture; and the experiences of working with artists from other fields – writers, theatre, visual art, performance art, and music. Sete’s aesthetic is to re-contextualise the human to human, whereby the rules of interaction are challenged to navigate a paradigm shift arriving at a new protocol. Improvisation is his base that yields all aspects of practice: the constant exploring and shifting of material unveils what is appropriate. This solid foundation continues to evolve, to be reconfigured in response to the requirements of the project at hand. Sete views his work as a place based and play based practice. Where his love of improvisation drives the creation of works that are inspired by its place of origin. Often these works are ephemeral. His contemporary dance has evolved towards designing participatory performances as a solo practice, and also in collaboration with other like minded provocateurs. I see my fascination with the movement and placement of objects in space, a direct extension of my dance, my movement, the projection of experience and intent. The placement of the “objects” provides room for the essence of the work to emerge. The choreography is determined by the interaction of the viewers with the “objects” and with each other. Drinking Water presented by Tasdance, had it’s world premiere at the 2018 Junction Arts Festival. The following video endeavours to convey a sense of my improvised solo – The Island. Next was a collaboration with Australian dance artist, Rachel Arianne Ogle. The work resulted from a masterclass with Joao Fiadeiro on his Composition in Real Time method. The event was produced by Strut Dance, Western Australia. The video here illustrates my process outcome in facilitating the viewer, the audience, to be the ‘incidental’ performer in this iteration. The following snippet is from – The Watering Hole – a collaboration with Canadian artist, Lisa Hirmer. This work occurred at the 2015 Time Place Space Nomad, in Natimuk, Victoria. The Watering Hole invited viewers to one by one traverse approx 400 metres across a dry lake bed to taste water that we had collected via a condensation unit (The Watering Hole) that we had constructed with assistance of other artists. To complete the circle, the viewers were then invited to assist in filling the Hole. Time Place Space Nomad was produced by Arts House, Victoria, and Performance Space, Sydney. The video below looks at the effects of an introduced species upon local fauna and flora. This dance work was developed in situ with the dancers. The presentation was the culmination of a three month project produced by Southern Edge Arts, and managed by Nikki Green.